Please take a look at this list and let us know if you have any information on the following classmates. 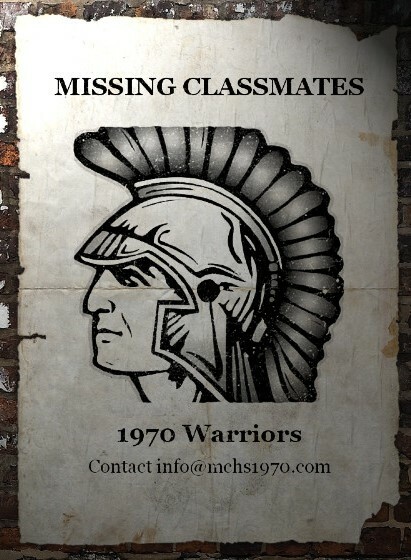 Contact Us or email info@mchs1970.com with information. Any leads are appreciated. If you're in touch with someone on the list, please tell them about this website and ask them to join.